Scott Blasco is a composer and sound artist currently residing in Washington state. 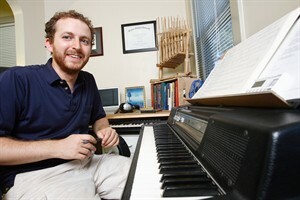 Scott teaches music theory, composition, and electronic music at Washington State University. He received his doctorate in composition from the University of Missouri-Kansas City, and studied music at Calvin College and Western Michigan University. He also holds a Master of Arts in Theology from Fuller Theological Seminary.